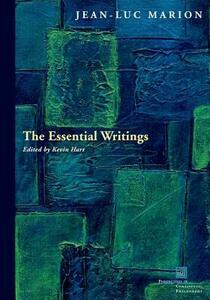 Jean-Luc Marion: The Essential Writings is the first anthology of this major contemporary philosopher's writings. It spans his entire career as a historian of philosophy, as a theologian, and as a theoretician of "saturated phenomena." The editor's long general Introduction situates Marion in the history of modern philosophy, especially phenomenology, and shorter introductions preface each section of the anthology. The entire volume will enable professors to teach Marion by assigning a single book, and the editor's introductions will make it possible for students to learn enough about phenomenology to read Marion without having to take preliminary courses in Husserl and Heidegger.